Use your mixers paddle attachment! Gluten free bread requires no kneading because of its batter consistency (it should be just slightly thicker than a cake batter). Use fresh yeast and make sure your proofing water is at the right temperature! 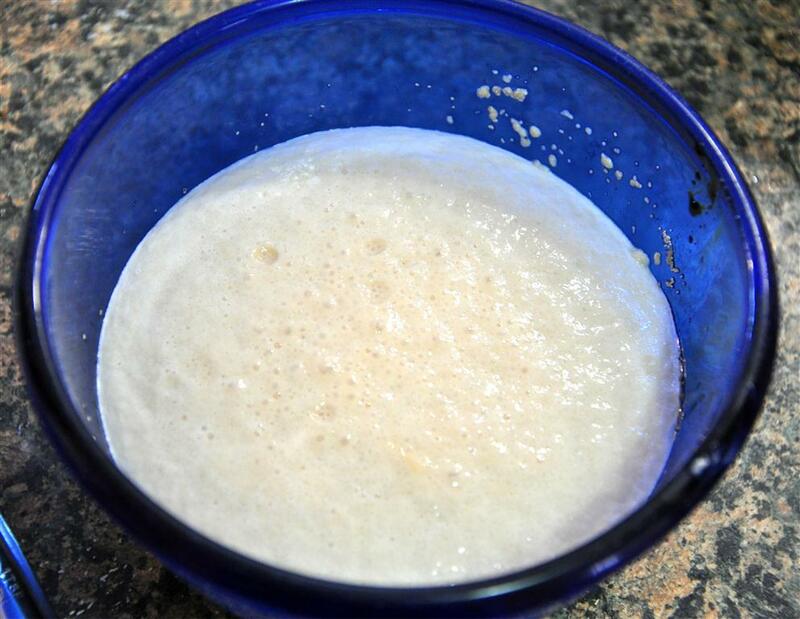 Here is what your yeast mixture should look like when it’s finished proofing – nice and foamy. If it doesn’t look like this either your yeast is bad or the water isn’t the right temperature; throw it out and start again. See how it’s just slightly creeping up higher than the side of the bread pan? Make sure your oven is up to temperature by the time your loaf looks like this. My loaf only took 50 minutes to rise (in Alaska, in the dead of winter, in a house set at 72 degrees F) and it will take even less time if you live in a hot/humid climate. Pour dough into a parchment lined and well greased 9 x 5? metal bread pan (the only pan I recommend for this recipe is a metal one, you will not have the same results using other pans) and cover with plastic wrap. Allow to rise for 45 minutes to an hour (Check the loaf 30 minutes into rising. When the dough is close to hitting the plastic wrap, remove it; allow the dough to rise the remaining time uncovered.) When bread is finished rising, bake in a preheated 375 degrees (F) oven for about 30 minutes. 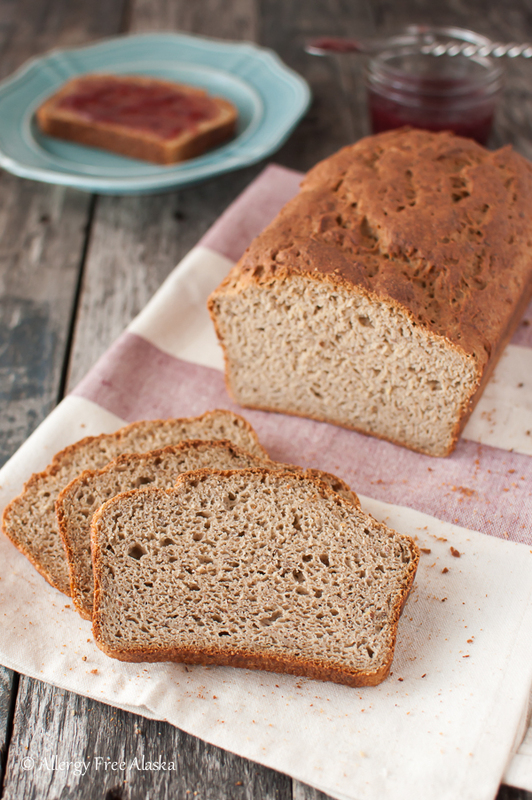 Are you new to baking gluten free bread? Or maybe you have some questions about this recipe? Check out my Everything Guide to Making Gluten Free Bread - Including Troubleshooting Tips. This entry deserves 2 thumbs up and a Oh Snap! Loved it, modified it even and still good tasting when I messed it up. I also recommend Joe Cross on Juicing and Dr Fred Bisci to help boost your immune system, you can find their videos at youtube and on-line. Get healthy and enjoy good food! oh yes Megan, can;t wait to try this…please share it on AFW this week! Beautiful! Thank you sweet Tessa! I will! Heya, your recipes and thoughtfulness have made me go with your recipe. My gf just found out she has to go gluten free, and I’m the baker in the house, so it’s time to produce. This may seem like a silly question, but being new to it all…she is also nut allergic, so can I just increase other flours to compensate, or do you have another suggestion. Thanks, and looking forward to getting started. Nicholas, Thank you so much for your sweet compliment! And your question isn’t silly at all – yes, you can use more sorghum flour to substitute for the almond flour. I hope you both enjoy it! Just wondering for your bread recipe what I can use to substitute for almond flour. You can use more sorghum flour! Megan – how strong is the molasses flavor? It’s not one of my favorite tastes. would honey be an acceptable substitute? It’s not overpowering, but you can pick up on the molasses flavor. Honey would be an excellent substitute. This bread looks incredible! I want to eat a slice of it with some ghee on top right now. I am really looking forward to trying this recipe. I plan to try this recipe this weekend. I love multi grain gluten free baked goods. Can I substitute the almond meal with amaranth or oat? I allergic to almonds and beans. I would be more apt to substitute oat flour for the almond meal. The only thing you might want to pay attention to is the consistency of the dough. The oat flour may require more liquid than the almond meal would, so start with 1 1/4 cups of hot water, and add more liquid as needed (tablespoon by tablespoon) until the consistency matches the consistency of my dough picture above. That bread looks gorgeous and soft! I would love to try it but my husband is also intolerant of millet, sorghum, and tapioca. Any ideas on substitutions so I can pull it off? Arrowroot or potato for the tapioca? I’m just learning and have no clue on the flours. More of the others, chia, brown or sweet rice??? Thanks! You can substitute brown rice flour for the millet and sorghum – and use arrowroot or potato starch for the tapioca. Thanks! Will give it a go but don’t have a mixer. Will it turn out ok doing it by hand? Emily, no – you definitely need a mixer!! H I all, this has been my fave bread recipe for a coupla years now, and I DON’T have a mixer! I just make sure it’s mixed thoroughly with a fork before I pile it into the tin, and it comes out fine every time! This recipe attracted me to come here. I was head over heels looking at the texture and color of the grain. Some of the ingredients will be tough to find. But, I will explore your blog more and I am sure I will love what I see. Thank you so much, Priya! You might try amazon.com or vitacost.com to find the flours needed. I have been desperately looking for a bread recipe to make for my son…His allergies are to Milk, Eggs, Rice, Wheat, Walnuts, Peanuts, and Red Dye…this is the closest recipe I have found to being completely free of allergens, for him…except for the eggs. Do you have any suggestions for substitution of the eggs in this recipe? We’ve attempted several recipes, and so far, most turn out too much like dry cornbread, which my son won’t eat! 🙁 Any suggestions appreciated! Thanks in advance! I just received another comment today from Marie – she said she used egg replacer and the loaf still turned out beautifully. I’m such a chicken when it comes to homemade bread, but this might just be the recipe that turns me around! Just gorgeous picture lady. You’re a superstar. Thanks for featuring my recipe on AFW! I really appreciate you ladies! I don’t know if it’s the cheap bread knife I use, or just me (because my husband can’t get the slices even either). 😉 Thanks so much for pinning my recipe – please let me know what you think of it when you do try it! This is the second time I made this bread. It fell a little bit the first time. But it tasted real good toasted. I made it again today but it was real runny so I added 1/8 of a cup of coconut flour and it was better. I don’t have ametal pan that big so I used a 9×5 ceramic pan it baked better slightly fell.It’s still to hot to get out of pan I didn’t use the parchment paper. I just have a small old fashioned electric hand beater, not big blades like in the picture will it still work? Or can I use my bread machine? I think hand beater would just be okay. It wouldn’t whip the bread like you need it to, but I guess if that’s what you have – give it a go and see how it does! I don’t have a bread maker, so I couldn’t say if that would work or not. I am wondering why do I need to use the active dry yeast instead of instant? Also, is tapioca starch the same as tapioca flour? I am just learning the gf cooking and all these new flours and ingredients are so confusing. 🙂 I get lost in the store just trying to find them. I prefer using active dry instead of instant. 🙂 I think it makes a better loaf! Yes, tapioca starch and tapioca flour are the same thing. Tapioca starch and flour are the same! This bead turn out well for me. I had to add a bit more water to get the texture right. I also used a hand held mixer. It worked just fine. Hi Megan, Today I made a loaf of your bread. It is amazing..and delicious! I have tried numerous recipes for wheat/gluten free bread over the past few years and every one has been a let down……either doesn’t cook through properly, tastes terrible or takes huge amounts of ingredients. This bread bakes beautifully, slices perfectly and tastes delicious. Thank you for sharing with us. By the way, as I am vegan I used egg replacer instead of eggs and the bread turned out perfect. Thank you so much for leaving me a comment, and for mentioning that you used egg replacer. I have had several people ask me if egg replacer will work in this recipe, but have never tried it myself so I didn’t have an answer for them. This is great news! Hi Megan, just wanted to let you know that yesterday I decided to try making a cinnamon raisin loaf with this recipe…..it worked a dream and is delicious. For those who would like to make it, just add 1 heaped tablespoon brown sugar and 1 level teaspoon cinnamon to dry ingredients. Add 1/3 cup raisins to the mixture in the last 30-45 seconds of mixing the batter. Which egg replacement did you use that worked so well? I haven’t tried it myself, but my other readers have reported the Ener-G brand has worked well. Thank you so much for this amazing recipe! LOVE IT! Quick and easy, too. I had mine in the oven in about 12 minutes and finally, a gf bread that doesn’t feel/look/taste disgusting:) I’m wanting to find out the nutritional information for this recipe…would you consider putting it on allrecipes.com? Thanks! I cooked this bread 10 minutes longer…BUT I almost burned it! I’m so used to cooking all my GF bread recipes longer because they fall flat in the center. I don’t think I’ll need to do that next time…AND THERE WILL BE A NEXT TIME! IT’S WONDERFUL!! Do you think that I can use a bread maker? I’ve never tried it, so I’m not really sure! If you do try it, please report back and let us know how it turned out! I’m one for trying anything and I eat my mistakes, even if they just make good bread crumbs. This is so easy that I wouldn’t even bother with getting the bread machine out… and besides, no paddle hole!! I got everything to make this but I do have a question. I just noticed that the sorghum flour I purchased (Red Mill brand) says Sweet White Sorghum flour. Are there different sorghum flours? Is this what you normally use? If not, will it be fine to use this? Is it necessary to use parchment paper? Thanks!! The Bob’s Red Mill sorghum flour will work just fine. 🙂 As for the parchment paper, I find it necessary to use with the pans I have, otherwise my loaves tear. I forgot to respond and let you know that I tried it in a bread maker and it worked beautifully. Gluten free cycle. Made this bread today and shared on my facebook. Awesome. I normally kill yeast breads and gave up on them but yours turned out wonderfully. I don’t normally use teff so this is a real strong flavor but oh my what a gorgeous loaf of bread I got. Thank you so much. Very good! Thank you so much, Susan, for letting us know! this bread sounds wonderful, however, I am also allergic to corn and xanthan gum is on my corn derivatives list. What could be used as a replacement for that ingredient. My allergies include corn, wheat, rice, soy, peanut & tomato if that helps at all. Haven’t had bread of any kind since November when I learned of my allergies and I am dying to have a sandwich. Have you use or heard of guar gum before? It would be an excellent substitute for xanthan gum. America’s test kitchen says you can use Pysillium Husk Powder in place of gums in gluten free recipes. They have a conversion chart in their new book. Those substitutions may work in some recipes, but not in this one. You have to be careful when using psyllium husk powder because it’s heavier and requires more fat (otherwise it will completely dry out the loaf). If you did substitute psyllium husk powder in this recipe, you wouldn’t get the rise like you see in the picture, but a heavier, denser, and shorter loaf. I do NOT recommend using psyllium husk powder as a replacement for the xanthan gum in this specific recipe. I’ve heard you can sub in arrowroot powder in place of xanthan gum. Would this work for this recipe? No, you can’t substitute arrowroot powder in place of xanthan gum in this recipe. Please don’t try it, because I’m positive it would fail (sorry!). Hi Megan, just wanted to let you know that recently I decided to try making a cinnamon raisin loaf with this recipe…..it worked a dream and is delicious. For those who would like to make it, just add 1 heaped tablespoon brown sugar and 1 level teaspoon cinnamon to dry ingredients. Add 1/3 cup raisins to the mixture in the last 30-45 seconds of mixing the batter. This recipe is almost perfect for me to eat, except the tapioca starch, which I cannot have. I can’t have starch. Any other suggestions on what to replace the tapioca starch with? Starch is what gives this bread a springy/airy texture. If you don’t use starch, you will be left with a very dense bread that will be relatively hard. Generally I would recommend substituting another starch (like potato starch or arrowroot starch), but because you can’t have either, I’m not really sure what to recommend. I suppose you could try using brown rice flour, but again, without any starch, this bread will be very hard and dense. I’ve never made it without any starch at all. Best of luck to you! Try more sorghum flour, or you could even use brown rice flour (if you can have rice). Meghan — thank you! I’m new to all of this … can I substitute potato flour for rice flours in recipes? Would that generally work? I have never used potato flour (potato makes my joints swell). I would be more likely to substitute millet or sorghum flour for rice flour. Hope that helps! Coconut flour requires much more liquid than other GF flours. It would NOT work in this recipe and I don’t recommend using it as a substitute. Thanks for the tip! I didn’t know that about coconut flour! Just bought some, so that’s good to know. I have a couple of coconut specific recipes I’m going to try. Actually, when I was out of millet flour and almond flour, I used a combo of 1/2c bobs gf flour and 1/4 c coconut flour…and it worked beautifully. I left out the flax aswell to be safe. So glad this has no rice four given the recent talk of arsenic. My only problem is my son is allergic to eggs and egg replacer has potato starch and that is no good as he is allergic to potatoes as well. Would ground flax w/water be a good replacement for eggs? this recipe is proofing but i would too like an egg free one. did you end up making one? I don’t read directions well LOL.. and read while i was making it about the metal pan- i had glass and silocone. going for latter. but yes.. an egg free recipe?? with flax eggs? was going to try that here but wanted to make it as is to start. I’ve had the same thing happen to me when I’ve used guar gum in the past. Xanthan and guar gum are used similarly, but I’ve found xanthan gum to be far more superior in the bread baking arena. Is it corn you are trying to avoid in the xanthan gum? Authentic Foods sells corn free xanthan gum. Maybe that would be an option? Thank you! This is the first GF bread recipe I have tried. I did use quinoa flour instead of flax and sorghum. It came out perfect. My whole family loved it as well. Thank you, thank you, thank you!! This was the first gluten free bread recipe out of probably 10 that I’ve tried and actually tasted like bread, looked like bread and felt like bread. I am so happy to finally have a recipe that works and this is going to be the only one I make from now on. Thanks so much and I wish you good health and happy holidays! 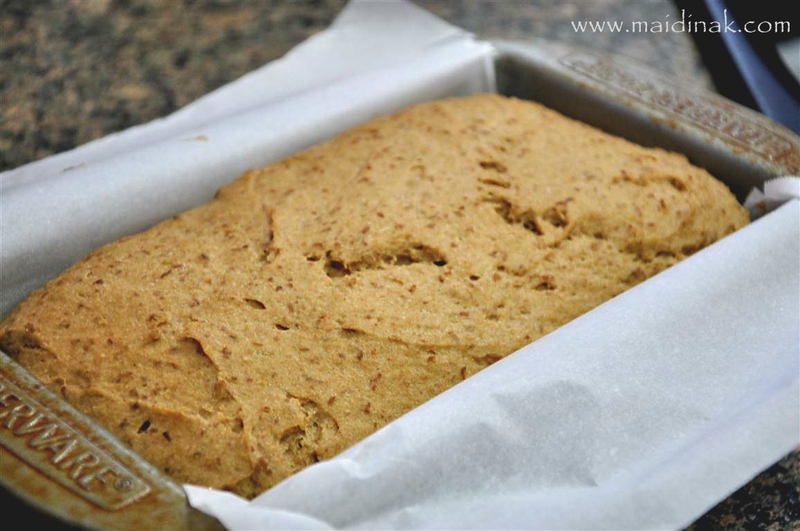 Thank you for this recipe… I have try to make gluten free bread for very long time and it don’t come out good … I going to try this one tomorrow!!! I can’t believe we going to have bread again!!! and all the comments are very good information….. Thank you to you for the recipe and to all the people that have post their comments after making the bread…. happy baking to all!!!! Hey there Miss Megan. Thank you for this delicious recipe! I’m still rather new at baking bread, so I have a question about the texture of this bread. Though the internal temperature reaches 210 and it’s in a metal pan, it’s still somewhat moist/gummy for sandwiches, even after baking a full 50 minutes and has cooled completely. This has happened all three times I’ve tried. It’s a kind of stick-to-your-fingers moist, like three day old zucchini bread – yum! While I’d be fine with that, it’s not so great for sandwiches for particular husbands and kids. Any idea what I’m doing wrong? Or at least a suggestion for doing it right? In regards to the bread, I don’t think you are doing anything wrong, I think it may have to do with the humidity where you are located (where are you located?). I would omit the molasses, and try cutting back on the oil by 1 tablespoon. I think that will take care of the problem, but would you please come back and let me know how it goes once you try it again? Teff does have a strong flavor, but you may like it better than the amaranth – it all just depends on personal preference. I’ve made this wonderful bread several times since reading your reply and it works out wonderfully now as long as I give it some extra baking time! I’m in NJ and our kitchen is usually b/t 65 & 69 in Winter, with humidity at about 50% in the house. My husband and 6 year old both love this bread with these couple of changes you mentioned and now an extra tbsp of honey or two. They use it for sandwiches, french toast, toast, etc. and it’s a goddess-send (that would be you, Megan!). I also use this bread to add other good bits of things like flax, dulse and/or kelp flakes, black sesame seeds, etc. my son might not like otherwise. Thank you, again, Megan. You’ve made this very difficult transition for my little boy and husband much, much easier! I am GF vegan, can I use Ener-g egg replacer in this recipe?? Hi Melly, I have not used egg replacer with this recipe, but others have with success. If you do try it, please come back and share your results! Whats angood substitute for teff flour? I cant find it. Amaranth flour would be a great substitute, but you could also use brown rice flour or more sorghum flour. Wow! 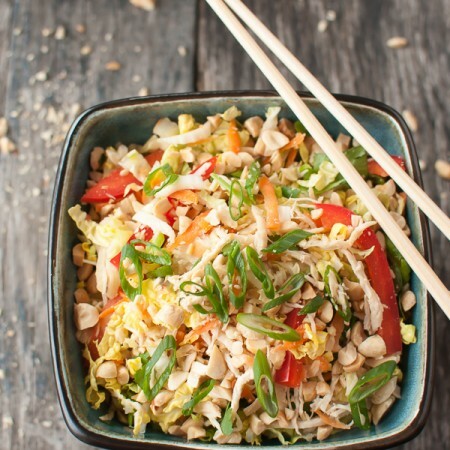 This is a fantastic & life changing recipe for people with allergies! I can actually enjoy bread again. I’m loving all the layers of flavor packed into this wonderfully textured bread- I never knew this could be attained gluten free! I feel lucky to have found you Megan!! Thanks so much!! Why do you say to only use metal bread pans? I only have a glass one. I’ve found that the glass pans don’t cook the bread as evenly as the metal. I highly recommend using a metal pan for this recipe! I tried this recipe and it came out pretty good, but not without some issues. I’m in North Carolina, but it is cold today and not humid. Temperature indoors is about 70-72. I did not use Xanthum Gum because I did not have any and I was out of arrowroot, so I made a slurry using the same amount of chia seeds mixed with double that much boiling water (5.5 tsp). The batter was VERY runny – more than I would think the extra liquid would add. I kept adding millet and teff flours (mostly) until it got thicker, but never looked as thick as your picture. Mine also came out a bit sticky, but not as bad as I thought it might given how thin the batter was. The flavor is strong and my family likes things a bit milder. What happens if I leave out the molasses? Also, could I add nuts or bananas without adjusting anything? Xanthan gum is a vital ingredient in this bread recipe; without it, the recipe will fail, and will be incredibly runny. Xanthan gum is the “glue” that holds all of the ingredients together, so it doesn’t surprise me you had to add more flour to the recipe. You can omit the molasses if desired, but I don’t recommend omitting the xanthan gum. I do not recommend adding bananas to this recipe as it’s meant to be a yeast bread, not a quick bread. Excellent Recipe! 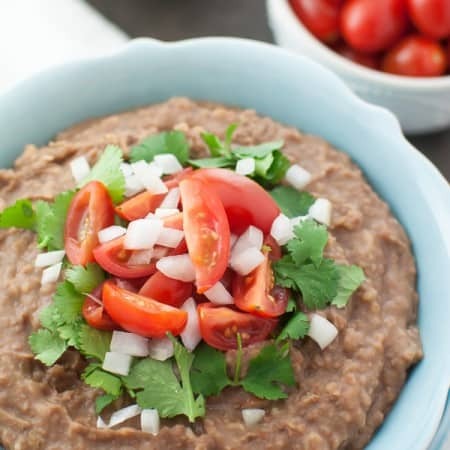 Okay to substitute Buckwheat for the Almond Flour? Have two children with severe nut allergies. we made the bread this week-end, very good but we find it a bit too sweet, can we cut the honey and molasse in half, would the bread come out as nice? It should be just fine if you halved the honey & molasses. Thanks. Do you think I could double the batch to make two loafs? Can I substitute acacia powder for xanthan gum? Along with the xanthan gum, I just realized I’m also missing millet, teff, and sorghum. I wondered if I could substitute potato starch, quinoa flour and oat flour for them? I need to make it without gluten, rice, soy and corn. Thanks so much for your help. I need to make a loaf for our grandson for tomorrow. I’ve never heard of or used acacia powder, so I can’t tell you if it will work as a substitute for the xanthan gum. I hope that helps. Good luck to you, please let me know how it goes! You are awesome! This is the first gluten free bread that I enjoy!! I divided the batter into 3 small loaves and there is actually enough to divide into 4 mini loaves. With the third loaf I made a cinnamon raisin loaf which turned out great. After removing 2/3 of the dough, I added some golden raisins, a few dashes of cinnamon premixed with about a tablespoon or so of sugar. Since I added some sugar which loves water, I added extra warm water to the dough and mixed it all together until it was smooth again. I cannot thank you enough for creating and posting this recipe!! I can enjoy bread again!! What a awesome compliment – thank you so much for the feedback (and you are so welcome)! It makes me happy to know you enjoyed it! And thank you for all of the notes you shared regarding dividing up the dough into smaller loaves, the add ins, etc. 🙂 They are very helpful! I happened across this recipe the other day and tried it and just had to let you know how incredibly pleased I am with it. I have a family of eight, so do a lot of gluten free baking because I homeschool and we always eat at home…like you, I suppose. Too bad I’m in Nebraska. Sounds like we’d make good neighbors! One hint for you I’ve found: you can grease any pan for any kind of baking with about a nickel-sized bit of liquid soy lecithin and absolutely nothing will stick to it. I started using it about 25 years ago upon the advice of a local health food store and have never used anything else since. It’s healthy (some people use it to treat cancers) and inexpensive considering the tiny amount it takes. Health food stores or food coops usually have it. It comes in pint or quart bottles and is made by Fearn. It eliminates the need for any use of parchment paper, muffin papers, or any other special prep for any baking. Things just fall out of the pan. It is extremely thick, but if there is even a tiny film of it on the pan, nothing will stick to it. That’s why it takes so little. A jar of it literally lasts for years! Let me know if you try it. Sorry, Megan. I didn’t know you need to avoid soy. The soy in liquid lecithin may be a problem for you. It comes in liquid and powder. Hope this helps! I’m new to cooking gluten breads and I was wondering what the best way to store this loaf is? I store mine in a cupboard or another cool place. If there are any leftovers after 2-3 days, I slice the remaining loaf, and place it in the freezer. The bread had quite an amazing flavor! I was wondering what you would recommend increasing and how much to give it a sweeter flavor though? One last thing if you don’t mind, what do you keep your bread in? I’m constantly reading conflicting advice. Thank you, you have been so helpful. For some reason, my loaves collapse in the center when I take them out of the oven. They end up about an inch and 1/2 deep. D you have any advice? Other advice that I read seems to have made it worse. 1. Letting the yeast over proof when activating it. 2. Allowing the bread to rise too long before baking. You want the top of the loaf to just peak the top of the pan. When it reaches that height, it needs to be put in the oven (it will rise more while baking). 3. IF you’ve done those 2 things correctly, then I’m assuming it’s a weather/altitude/humidity issue and your dough is too wet. In order to “bulk” it up, below is the recipe I would recommend using (same directions as what’s above). I decreased the liquid (egg, oil, honey). This should take care of the problem. Also, I would suggest using an instant thermometer to make sure the bread is fully baked. I’ve had problems with loaves falling because I didn’t bake long enough. I thought it looked done, on the outside, but the inside was still wet. Here is a link I found that has a good explanation about baking times for different types of bread . . .http://www.thekitchn.com/perfect-bread-use-your-thermom-40644. it helped me with baking this one. Holy Hallelujah thank you for this recipe! My husband can’t tell the difference between this and wheat bread! We’ve been disappointed at the other gluten free bread mixes out there. This one is amazing! I just wanted to let you know I’ve been using this bread recipe since I discovered it four or five months ago. I gave up gluten last October, and while I don’t miss a lot of things, and it’s been great for how I feel, I do love bread. So much. And I’ve discovered I also love baking! This is the recipe I use when I have guests over, and only because they know I bake gluten free do any of my guests have any idea. The texture is great, the flavor is great, and it goes as perfectly with Indian food as it does with a fried egg and potatoes. I just tried this recipe for the first time. 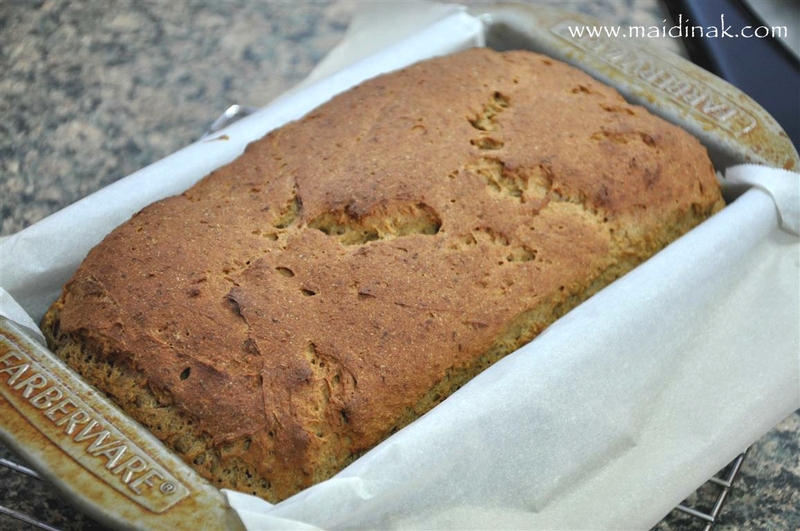 I have been experimenting with gluten-free bread baking for six years now – most frustrating thing, at times! My husband needs to eat gluten-free, but still feels he “must have” his sandwich at lunch time, which is still on regular bread. He has been telling me that if I were to ever land on the perfect gluten-free bread recipe, he would gladly switch to that bread, but so far, I just never did product any bread he was happy with. However, I feel very optimistic about this recipe. I just took it out of the oven, and it is indeed the most beautiful loaf I have ever produced. He tasted a loaf produced by a bakery about 100 miles from here, and liked it, and when I stumbled upon your recipe, I noticed that a lot of the flour ingredients were similar. That’s why I’ve tried your recipe today. When I took it out, it did start to fall, but I read your comments above about how to fix that. We are having a VERY humid day here in Arkansas, so I think some experimenting is in order. Just wanted to thank you so much for sharing this! I am encouraged! And to tell you the truth, I had quit playing around with bread recipes, because my son and I had pretty much learned to get by with it. Thank you again, and God bless! What a wonderful note – thank you so much for leaving it for me! And I can’t wait to hear what your husband thinks of my bread! I just recently published another piece you might be interested in. Click here to read The Everything Guide to Making Gluten Free Bread – Including Troubleshooting Tips. This piece addresses several issues, but particularly loaves that fall shortly after being taken out of the oven. Thanks so much – hugs to you and your family!! Hi. I made the bread yesterday with the sub of egg whites for the eggs. Everything else I did was per the recipe. The bread rose nicely & taste very good, but the crumb is much finer (tiny air bubbles) than you photo. How do I get the same texture as yours? Hi! Can I make this in a bread machine that has a “quick bread” setting without a punch or second knead? It just mixes, rises then bakes. I’ve never had luck making GF bread in a breadmaker, so I couldn’t tell you (sorry!). I tried your recipe today. This is the first gt bread that my husband has said was good! He recently developed a wheat allergy and bread has been the most difficult thing for him. I have always done a lot of baking, but gt has definitely been a challenge. I will be keeping your recipe bookmarked and using it often. Thanks so much! No, I do not have an AP mix, but you could certainly use a store bought one. Just check the AP mix to make sure it already doesn’t have xanthan gum added! I would like to try to make this for my adult daughter who is gluten intolerant. I don’t keep all those special flours on hand but here in Ontario a store called The Bulk Barn sells Gluten Free All-Purpose Flour that I have used when making cookies and muffins. I am sensitive to almonds. Can I use something in place of the almond flour? Yes – try more sorghum flour. I have made the multi-grain bread a couple of times, the oatmeal millet bread, pancakes, and brownies. What wonderful recipes!!! I have always been intimidated by yeast but using your recipes and tips,my breads rose beautifully. In fact they rose a little too much in less than a half hour. Does the bread dough need to take almost an hour to rise or is it OK for it to rise in 20 minutes? If not, do you have any suggestions as to what I might do so it takes longer for the dough to rise? My husband liked the multi-grain except he didn’t care for the crust. Do you have any suggestions for making the crust a little softer. I thought it was fine but I don’t eat a lot of bread. It may have been my flour, I didn’t have any sorghum or teff flour so I ground my own and it was not as fine as it should have been. It sounds like the bread is getting overly warm (causing it to rise too quickly). Is it warm where you live right now? If so, I would reduce the amount of yeast used to 2 1/4 teaspoons or even 2 teaspoons. That should help slow the process down, and it might help with softening up the crust too. When I bake the bread here in Alaska, the crust is soft, it is never hard. However, baking bread here in Alaska can be completely different than baking bread in other humid and hotter places. So the trick is to tweak the recipe for preference and location. If the crust doesn’t soften up after reducing the yeast, try wrapping the hot loaf (right out of the pan after it’s baked) with a kitchen towel. This will help trap some of the moisture/humidity and keep the crust soft. Hope that helps! For other tips and information you can also check out my Everything Guide to Gluten Free Bread Making – Including Troubleshooting Tips. Be sure to check the label on egg replacers. Bob’s Red Mill brand has wheat gluten in it. I’m trying out your recipe tonight. I love all of the different ingredients. Can’t wait to taste the bread! It was delicious. 🙂 Very soft and moist. I had to blanch some almonds and make my own almond meal, but it was worth it. It made a great sandwich today and makes AMAZING toast. Even my 7yo son likes it! It will be on my regular rotation for bread baking! YEAH! So glad you enjoyed it! 😉 My girls love it too! So happy to have found your site you are a very smart young woman I will use your receipies from now on thank you so much ! I have spelt flour, stumbled upon your site while searching for spelt bread recipe. Possible for me to use spelt anywhere in this recipe? I have never worked with spelt flour, as it is NOT gluten free (HERE’s a great article from Shirley of gfe-gluten free easily explaining The Spin on Spelt). I honestly can’t tell you for sure if spelt would work in this recipe, but my gut tells me no. I would encourage you to look for a bread recipe online that already calls for spelt as an ingredient. Good luck! Hi Megan – greetings from Wellington, New Zealand. Although I am not Gluten intolerant – by diagnosis; I get bloated very easily after eating – and specially after bread. I am really keen to cut gluten products out altogether. I tried your recipe and – first attempt – it is excellent! A little undercooked inside but quite brown outside. I may try adjusting the wet ingredients as you suggest – or perhaps bake a little longer on slightly lower heat setting. Thanks so much for sharing these recipes – can’t wait to perfect this one and try some of the others. I’ll keep you posted. I trust you are feeling well – I wish you all the best! Kind regards, David. I made this on Sunday and I really cannot believe how well it went. I have been trying to tweak another recipe for a year now and it keeps falling. So I bit the bullet and bought the flax and teff flour and gave this one a go. NO problems. Seriously. And, it is still nice and soft and moist on day two on my counter. Surreal. Thank you so much. You are so very welcome!! Thank you so much for taking the time to come back and comment. 😉 You really made my day – thank you! After baking bread for many years I had to change to glutenfree which is another challenge. My first gf bread was your recipe and it came out quite well. I didn’t have tapioca starch so I used cornstarch instead. Is this a good subsitute for tapioca? Also I didn’t have teff and sorghum flour and substituted it with buckwheat and chickpeas flour. I really liked the result and will make it again this week. Thanks Megan!! I have to tell you – this bread rocks! I have been baking gluten-free for 3 years now, and I have baked a L O T of bread, most of which disappointed me (that’s too much work and expense for things to fail, in my world). But, being ever hopeful, I tried this one – and it is perfect. And, it reminds me of a bread my daddy loved when I was a kid – back in the days when we didn’t have all the artisan breads that you see now. It was something seedy and grainy and “dark” (compared to the white bread the rest of us liked). You gave me a great recipe and a wonderful warm memory. I’m so touched by your comment! Thank you for sharing the memory of your daddy with me. And I’m so happy you enjoyed the bread recipe! Hugs to you! Did the recipe! Yummity yum! However, when it cooled it sagged in the middle, like me. We live at about 4400 feet and think the problem is with the altitude. Do you have any suggestions? All the expert cooks I’ve talked to say it’s either too much sugar (honey), too much yeast, too much moisture, or the humidity is wrong. Any ideas or do I just have to monkey with the ingredients to get the right stuff. Still tastes great. Yes, I definitely have suggestions for you! Can you please tell me how much the loaf sagged? Like an inch or less? Or more than that? It will help me better determine what to suggest. I’ve found a new winner!! My husband and I just gobbled down 2 pieces each! I love the flavor and the loaf did not fall on me. I cut the recipe down by 25% and baked it in an 8.5 x 4.5 pan as my 9 x 5 loaves (any recipe) notoriously flop. Thank you so much for all your efforts in creating such tasty recipes AND for sharing them with us. You’re welcome, Wendy! 😉 I’m glad you and your husband enjoyed it! I couldn’t find millet flour anywhere and hadn’t read through all of these comments before making the bread so I used my own substitutions. I subbed the cup of millet flour for 1/4 c quinoa flour, 1/4 c sorghum and 1/2 c oat flour. This was my first time making a gluten free bread, although I’ve been gluten free for 5+ years, and it turned out amazing. I will make this again for sure, hopefully next time I’ll have some millet flour on hand to try. I ordered some online just now! I’m sorry you didn’t care for the amaranth. Some people love it, and others don’t. It all just depends on your preference. Re: the bread being doughy, I suggest you read this post HERE, that includes troubleshooting tips. It sounds like either there is too much liquid in the bread for your climate/elevation, or your oven isn’t properly calibrated (you can read how to calibrate your oven here). Good luck! 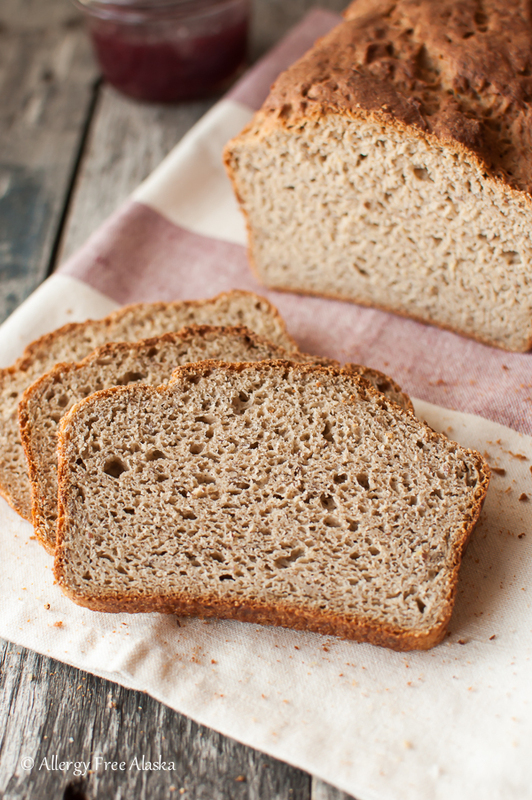 Thank you so much for your amazing set of articles about how to bake gluten free bread! I would like to try it, but hoped to avoid buying so many different kinds of flour. Is there a recipe that only uses a few? I bought millet flour and brown rice flour. Is there anything I can do with those? Thanks! Hi again – after re-reading the recipe I am wondering if the MULTIGRAIN aspect of this recipe is due to the different flours or just the flax meal. Using regular GF all purpose flour would defeat the purpose of multigrain if it’s because of all the different flours. 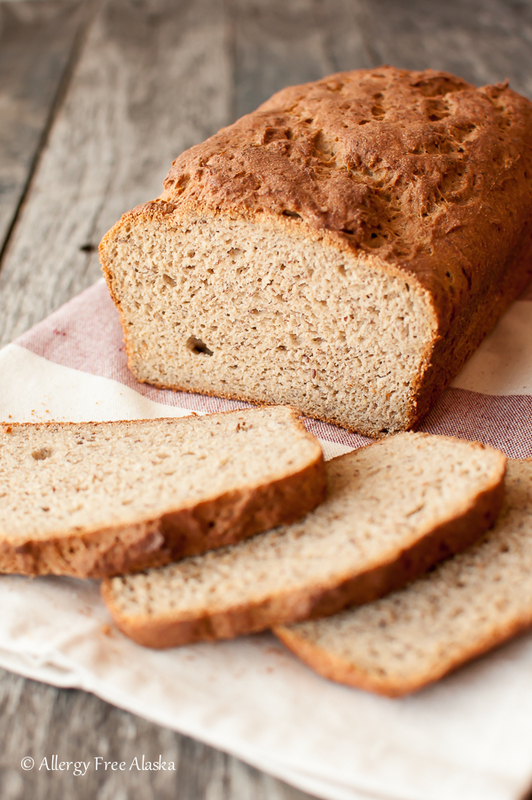 Flax is actually a seed, so the multigrain component of this recipe comes from the flours used. You can certainly use an GF all purpose mix, it just might not be as healthy as my blend listed above. 😉 Hope that helps! Thanks for responding so quickly. I kind of figured it wouldn’t be as good. Guess I’ll just have to go buy bits of the other flours 🙂 I am looking forward to trying this recipe. Hi Megan, I have tried (& failed) MANY gluten free bread recipes and I have to say this one is hands down our favourite. My daughter would not eat gluten free bread until I found this one (and all the effort was for her in the first place!). My only issue with it was the use of almond flour. Not because I don’t like it (I love it in gluten free baking both for the flavour & nutritional value), but because my daughter’s school does not allow nuts. I tried replacing it with ground sunflower seeds (I initially used a coffee grinder but now have a Vitamix – woohoo!) and it worked beautifully. Just thought I’d share that in case others are the same boat. This is the best bread recipe I have found – always turns out. Toast is great – nice and moist. Thanks for sharing the recipe. I am thrilled to have found this recipe. I have been making it every week for a few months now. I substitute sorghum flour for the millet and use amaranth instead of teff. I also have been adding 1/4 cup each of chia, flax, pumpkin and sunflower seeds. I add them after I mix in the yeast. This is the best gluten free bread I have found! Thanks for sharing it! No, I still haven’t tried this recipe in a bread machine, but some readers have and said it worked beautifully! This bread is amazing. My 6 year old daughter has been gluten free for 4 months. It has been an adjustment for her. Today I sent her to school with a sunbutter and jelly sandwich on this bread. She came home from school and told me that she was nervous to eat the sandwich because she thought I messed up and gave her wheat bread. Thank You! I do have one question on this recipe. I noticed on the double loaf recipe for this same bread you have additional tablespoons of honey added to the wet ingredients, in addition to the honey in the yeast ingredients but that is not listed on the one for the single loaf. It was great without, just wondering if it would make that much of a difference. I have a bunch of gf flours, but no amarath or teff. I know you mentioned using sorghum to someone else. Could I make up any of that with oat flour instead or is that too heavy for this? I’m also curious about getting some chia in here, as I love millet chia bread. Any tips? Have you tried making french toast with this? I’m wondering if it holds up well? I’d love to make a bunch ahead for my son and freeze it! Yes, you could use more sorghum flour or oat flour as a substitute for the teff flour. I think you could grind up a tablespoon of chia seeds and add it to the dough, but you’ll have to experiment a bit as I haven’t tried it myself. Yes, I have made French Toast, but not the type in the casserole pan – I’ve only made it with a single slice of bread (dip it into the egg, fry in a pan on both sides, etc.). Hope that helps! I found your site by chance and I’m really glad I did. I just made this recipe in my bread maker and it came out great the first time. I am a single father trying to get my daughter and I off gluten as a personal choice. I have made about 4 other recipes in the past none compared to this one, my daughter LOVES it and so do some of my siblings (they requested a loaf). Thank you for sharing this with us I will be checking out and making some of the others you have posted. I tried this bread twice, the first came out so gummy so I took out 1/4 cup of tapioca and replaced it with sorghum and it was still so gummy, I really hoped this worked as I am desperate to have a decent bread again..other than that I followed the recipe exactly, coUld I add some baking soda or powder to give more rise, it is just like a brick, rose up nicely in the 1 hour rise time then fell flat during baking, all my products are new so that should not be the issue, back to eating rice cakes I guess..so sad…so far have not been able to buy or bake a decent loaf…would whipping the egg whites help?? Well that’s a complete disappointment, isn’t it? A couple things… have you checked your oven lately to see if it’s calibrated and producing even heat properly? That would be my first guess as to what’s the issue; however, if you check your oven and all is okay, my second guess would be the bread recipe has too much liquid in it for your location. Altitude, temperature, and humidity all can affect yeast breads. A recipe that works for me here in sub-zero Alaska might be different for those in humid Australia. That said, you might want to check out this Everything Guide To Making Gluten-Free Bread – Including Troubleshooting Tips. Hope those suggestions help! Thanks for this recipe, i’m going to try it this week. I make your Oat-Millet bread twice a week now and it’s our family staple! I love that recipe, it’s easy, always turns out right and is delicious. I’m looking forward to trying this one out and adding a little more fiber/multigrain into the kids diet. Thank you! hello again, well the kids love this recipe but it has collapsed / shrunk up after baking it– both times I have made it. I checked out your troubleshooting tips, and it’s not gummy/too wet, it has nice consistency inside. I’ve made the recipe twice to the letter, first time the top collapsed and “sunk”. This time the top browned nicely but the sides ‘sucked in’ / shrunk when out of the oven. I think it could be over-rising so 2nd time i was careful not to let it rise too much. Any other ideas? Will keep experimenting, perhaps less liquid next time or really only let it rise a minimum amount? thank you again! If the inside isn’t gummy, but has a good consistency, try reducing the yeast to 2 1/4 teaspoons, and the hot water to 1 cup. Sounds like it’s just too thin of a dough for where you’re located. 😉 Hope that helps! What would you use in place of the almond flour? Would Coconut flour work or would you try something else? My son is top 8 plus nuts, rice, beef and poultry free. Love your site – most gluten free sites use rice as their main flour. can not wait to try this! Don’t use coconut flour!! A little coconut flour goes a looooong way. You would definitely not want to use it in this recipe. Just to put it in perspective, if you were to make muffins from coconut flour, it would only require you to use 1/2 cup of coconut flour (no other flours) to make 12 muffins. Coconut flour requires a lot of moisture, too, so just keep that in mind for future baking. It can be very drying if the recipe isn’t written just right. 😉 That said, more sorghum flour would be an excellent sub for the almond flour. Wondering if I can use guar gum instead of the xantham gum? Megan, your many hours of testing have produced the best gluten free bread I’ve ever had. Thank you so much! It is delicious plain or toasted and it doesn’t even crumble on day 4. I just made my third loaf today. It’s going to be the new hostess gift for my gluten free friends. I have been struggling with multiple food allergies/intolerances for years and finally went “gluten free” last fall. Your recipes, especially the bread have been fabulous!! I finally had testing done and found out that, among others, I am intolerant to almond, eggs, milk (of any kind) and wheat! I replace the almond flour with quinoi flour, but the eggs………… that was harder!! 1) In one bowl, mix 1 Tbsp ground flaxseed with 3 Tbsp water and let sit at least 10 min. 2) In another bowl whisk together; 1 Tbsp egg replacer, 2 tsp baking powder, 3 Tbsp olive oil, 1 Tbsp honey, 3 Tbsp water. Whisk until frothy. This has been a tough journey for me, but I love my bread and your recipes have helped!! THANK YOU SO MUCH for your recipe notes and suggestions. That’s very kind of you to come back here and leave that information for others. I’m sure it will be a BIG help to many who are egg free! And you are so welcome – big big hugs to you from Alaska! Hi, I make your oatmeal millet bread all the time with great success. Wondering why you use baking powder in that recipe but not in this one? Would it take away from this recipe if it was added? Thanks for all the great recipes, especially the breads. 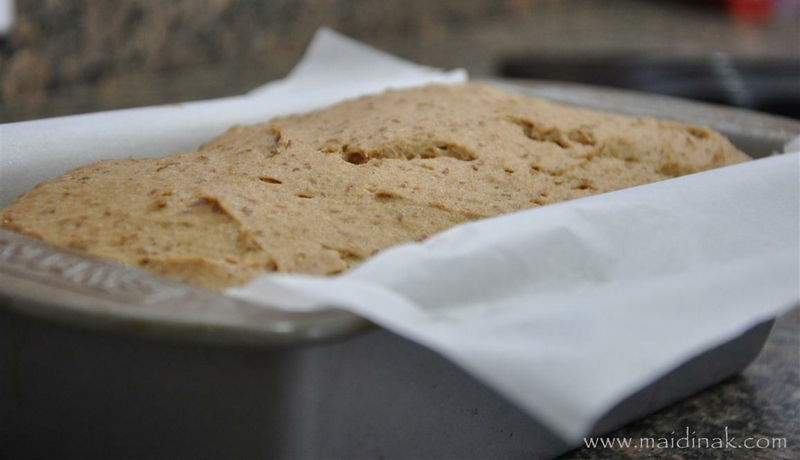 The Oatmeal Millet Bread is an older recipe of mine. You honestly don’t need the baking powder at all – in either recipe. 😉 Which reminds me I should get around to updating that recipe soon (so thanks for pointing that out). Very glad you enjoy the recipes! Am new to GF. I would like to try this recipe but have only Instant yeast…have always used this with my wheat breads. Are you able to suggest what changes I would need to make to use Instant yeast? thx. Hi Beth, I’ve never used instant yeast in this recipe, so I’m unsure of what to suggest. Maybe go with the amount you used for your wheat bread? No, there is no nutritional information provided for any of my recipes, but you can easily find out what it is by popping the ingredients into a calorie/nutrition counter such as this one (CLICK HERE). Great bread! I’ve made this recipe 3 or 4 times. It’s always turned out tasty, although I’ve made substitutions every time. I researched the substitutions and kept looking for the ingredients I didn’t have. One time I got millet instead of millet flour, thinking I could whittle it down in my food processor – No, No, No – that doesn’t work. Finally I got millet flour at my new neighborhood “everything” grocery store. (and it was under $5 for a 24 oz bag), I made the bread again. WOW!!! Some of the tastiest bread I’ve ever had, GF or not! I’m still looking for Teff flour. but I’ve decided to just make a special request at my grocery store. We’ll see. Special thanks to you for the EASE of your recipe. After making it a few times, I’ve got it down! It’s pretty easy to throw together if you’ve got all the ingredients. Megan you’ve earned 5 stars on this one! 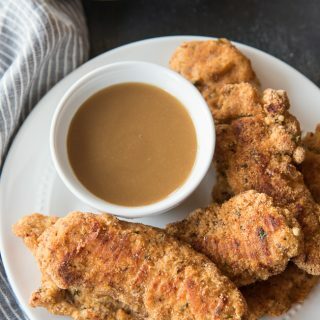 I am anxiously awaiting trying this recipe for my granddaughter. However, I need to nix the molasses , honey and cider vinegar, due to fructose mal-absorption issues. I know the yeast needs sugar to grow, so I’m going to dissolve some organic cane sugar in water to replace the honey. But what role do the molasses and vinegar play, and what might I substitute for them? Kudos to you for all your time experimenting and sharing! So the honey and molasses add moisture to the bread. Maybe you could substitute at least 2-3 tablespoons of honey/molasses with full fat canned coconut milk? Just a thought. The apple cider vinegar is used in this recipe as a dough enhancer. You can use fresh lemon juice to replace it. Hope that helps! Thanks. I will try the lemon juice. I will experiment without the honey and molasses and see how the consistency turns out. Thanks for the info and suggestions. So, I’ve made this recipe a few times. The lemon juice works well, and using cane sugar water to feed the yeast did fine, as well.I don’t think I let the bread rise long enough though. The sides shrunk in a little each time, but my grand daughter doesn’t mind or know what bread is supposed to look like, so she is happy. She’s even happier when she can help make it! My question this time is…. Can this bread be frozen successfully? I have flours in my freezer that are nearing their shelf life expiration date and want to make as many loaves as I can. Thanks again for all the time you put into researching and experimenting and sharing. I have tried making different gluten free bread and it does look like the bread in your pans but when it is baked the whole bread is one nice brown crust with the rest being a big hole inside the crust. Even bread mixes turn out like that. I want try your recipe but I can’t have eggs except for quail eggs. I count about 5 or 6 eggs for 1 hen egg. I hope this will turn out. I am very discouraged with trying to make my own bread. Will this or any other recipes work in the bread machine? I’ve never tried it myself, so I can’t say for sure, but I’ve had a few other readers tell me that it’s worked. Fabulous! I made this late last night and am having some toasted now. Excellent flavor and texture. I thought I had all of the ingredients, but I was out of flax meal so I substituted some Quinoa Flakes, which is Quinoa in a form that looks sort of like uncooked oats. Worked beautifully. Thanks ! You bet, MichelleC! Happy you enjoyed it! Can anyone tell me how much this weighs? I’d like to try the stuffing recipe, but have a store bought loaf, and would like it to be approximately the same amount. Thanks! Hi Regina, I haven’t actually weighed this loaf. I’d say if you’re using a Udi’s or Rudi’s loaf (which are both smaller in size), I’d use maybe 1 1/2 – 2 loaves. 😉 Merry Christmas! I rarely post feedback on recipes but I have to comment on this one. I confess that I broke nearly all the rules in the recipe – didn’t have millet, teff or flax flours, so substituted with other GF flours, let my yeast rise considerably longer than 7 minutes, only had a glass bread pan, so used that – and with all the variations, it still turned out wonderfully! Nice rise, good texture and crumb and good taste! I’m having my first piece right now with my egg for breakfast and it tastes great! I also like that it is so easy to make. I’ve made other GF breads (most of which are disappointing) but some that tasted wonderful, but took a lot more work. This recipe is a keeper! Thank you, Megan. Additional note: I have made this bread two times now and the second time I followed all the rules and listed ingredients – except for the glass pan. It turned out beautifully again. I did want to note however, that both times, I had to bake it for approximately an hour, as opposed to 30 minutes, as the recipe states. I guess it’s a difference in climate or temperature or something, but I don’t mind the hour, because it turns out so great! Do you mind sharing the weight measurements you have come up with? I was thinking about doing the same thing but would love to save some time. I have made this bread twice in the last 4 days and can see that I will need to start doubling the recipe. My 4 year old gluten-sensitive daughter and very picky gluten-eating spouse both love it! I have an actual recipe written up for a 2-loaves recipe! You can find it by clicking HERE. This is hands down the best gf bread I have made in five years. Thank you for the recipe! We just made a loaf today and tomorrow I will try one with no nuts and eggs for my son! Excited to watch it rise! WOW WOW WOW! I’ve been gluten free for 4 1/2 years and OH how I miss whole wheat bread! THIS is exactly what I remember it tasting and feeling like. The texture is incredible, the taste is just absolutely dreamy! It’s dark and rich flavored and slices BEAUTIFULLY without breaking in half with each slice (that’s a first!). It freezer and reheats perfectly, makes incredible toast and sandwiches and just plain old hot “wheat” bread with butter and honey. THANK YOU! A couple of things: I had to sub out the almond flour (migraine trigger) with more sorghum – didn’t create issues at all. I use whole psyllium husk instead of xanthum gum and used 2 heaping 2tsp of it. It works beautifully. (a little shout out – I think the texture and crumb that pysllium husk creates is much better than xanthum gum – no slimy, no gummy). When I mixed the batter it was VERY runny, much runnier than the pictures above, so I added probably another 1/4 cup of tapioca starch, and then just gave up and stuck it in a warm oven to rise. I FORGOT about it while it was rising and it rose up and out all over the bottom of my oven. Even so, it baked well (minus the cave in the middle because we opened the oven door over and over again to get the burning residue off the bottom of the oven) and was an absolute delight! Thank you, again! It’s simply wonderful! Made this last night and it looked as if it turned out SO WELL. I have terrible luck getting bread dough to rise and following your instructions I got a great rising! However….when I cut into the loaf this morning, there was a big glob of raw dough in the middle. I did use a glass pan because I didn’t have a metal pan, but I think that given how raw the middle was that the baking time needs to be extended to 40 or 45 minutes. I decreased the salt by 1/2 teaspoon and added two tablespoons of chia seeds because I had them lying around but I doubt that affected baking time. Yes, you’re right – the chia seeds would not have affected the baking time. I don’t recommend using glass baking pans with this recipe, but also, have you calibrated your oven lately? Do you know if maintains heat like it should? Might be something to check out. Also might be something affected by humidity, etc. It’s hard to say, but next time when you bake the bread, you can check to see if it’s done when the internal temperature of the loaf registers 200 degrees (F). Just use a digital instant read thermometer. 😉 Hope that helps! Hi Megan! I really whant to try this bread but I can`t find dry active yeast anywhere. And it turns out that they don`t sell it in my country. Can I use fresh yeast or instant yeast instead and if I do what will happen? I think I would suggest trying instant yeast, but you’ll need to use less — maybe start with 1 3/4 teaspoon? You might need to decrease the amount of water you use, too. Start with 1 cup, and then add more only if you need it. Hope that helps. Good luck! wow! I MEAN WOW! This has got to be the best GF bread I’ve made in the 3 1/2 years I’ve been GF. WOW! This has got to be the best GF bread I have ever made in my 3 1/2 years of being GF. My non GF husband tried it and said ” This is beautiful. Are you sure you can eat this”? Finally tried thus Megan and love it! We made it as a cinnamon raisin loaf…and used sorghum in place of millet, and increased the teff to 3/4. Everyone is digging it! Yahoo!! Yay, Tessa, that’s great! So happy you enjoyed it. 😉 Thanks for sharing! This bread is amazing! I made it for the first time today, (I’m workshopping recipes for my first GF Thanksgiving) and with a hand mixer no less. (I am longing for a KitchenAid) Megan, it turned out better than I could’ve imagined! A little dense on the bottom around the crust, but that’s IT!! I also made your pecan pie with your best ever GF flaky crust for the first time last night, and I hit that one out of the park as well. I am blown away! NOTHING, in baking, works for the first time for me! The crust was not pretty, but as you said, with a little trial and error, I’ll get there. Your recipes are so easy to follow, and un-fussy! Which for a baking newb like me, is a necessity! Thank you! Thank you! This recipe is, hands down, the BEST GF bread i’ve ever had. The rest of my family – who are not GF- agreed and ate it up with their lentil soup last night. 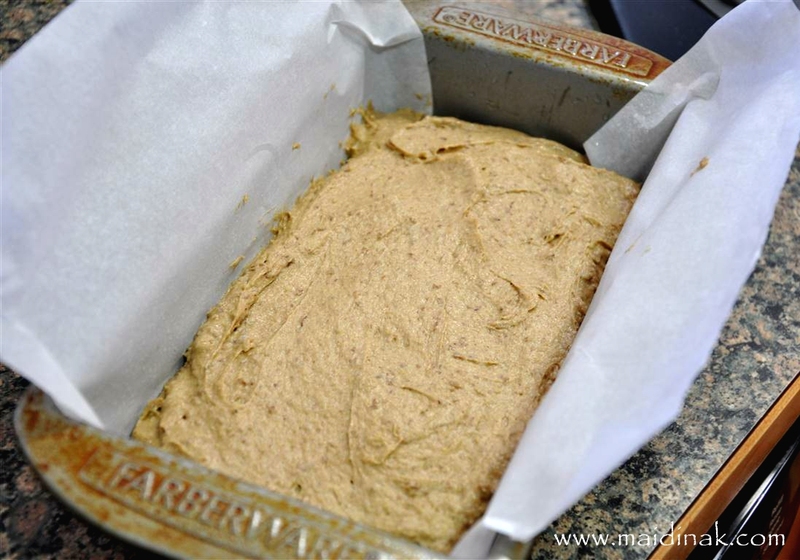 I substituted garbanzo flour for the almond and used EnerG egg replacer, and it worked beautifully. Such a treat to have real multigrain bread! Is there any reason that I can’t use almond flour that is not blanched? Also, did you ever end up experimenting with this recipe using an egg replacer? If so, which egg replacement worked out? Blanched almond flour (for whatever reason) tends to be more moist vs. not blanched. That said, not blanched still might work in this particular recipe. I think you’d just have to try it to know for sure. This is pure genius! I had been very intimidated by making gluten free breads, after many years of gluteny bread baking. This recipe looked good and I tried it – and actually received the most compliments on bread, ever! Inluding the gluten versions! Thanks for taking the time to develop recipes – I know how much time and effort that takes. Best bread ever and not even a crumb left! This recipe is AWESOME – thank you so much for sharing. This is better that the $7/loaf New Cascadia that we treat ourselves to in Portland. It turns out great if you sub for the eggs ground flax seed/water (3/4 T flax with 3T warm water for each egg, set aside 5-10′ to gel). I threw in 2T chia seeds and 1/2c walnuts without any problems, also sprinkled some oatmeal on lightly moistened top before letting it rise. Thanks again, and best wishes to you! See what you got me started on? I’ve made this bread a couple times now and we love it, the first time I made it my hubby said it tastes like wheat bread. I used to make my own bread most of the time, I used to love bread until it started making me sick, and I found out I celiac disease, I didn’t care for any of the store bought bread, so I’m really happy to find a bread that reminds me of wheat based bread. Do you think it could be made into buns? I miss my homemade buns the most and would love to have buns that I can eat again. Thank-you so much for this great recipe! I’ve made this bread many times and love it. Other than french bread it is the only bread I make. Question…I made a GF Angel Food cake this morning and I have a dozen egg yolks that I hate to throw away. Can I use yolks only in your bread recipe and, if so, do I need an additional yolk or two to compensate for not using the whites? Thanks again for sharing your wonderful recipe. Hmm… that’s an excellent question, Ronalyn. I’m guessing bread with only yolks would turn out okay, but wouldn’t get the lift it normally would with the whites. Egg whites provide not only protein, but also structure. If you remove that structure, it messes with the integrity of the recipe. 😉 You bet. Thanks for commenting! This recipe looks wonderful and I want to try it – now – but do not have amaranth flour or tell flour. Is there a good substitute for this flour? Also I intend to use almond meal instead of almond flour – if you think that will work as well. This is the best bread recipe I have found to date and I have been at this for a decade. It still fell apart a bit when I made a hamburger with it, but all in all it held up pretty good. I just needed an extra napkin! Thank you so much for sharing!! I’ve made this recipe probably 6 times now and it turns out well every time!! I have tried some Paleo breads, but I didn’t like the taste of them and I tried store-bought gluten free breads and they tasted like they were growing mould. I have subbed out the unsulfered molasses for maple syrup and it tasted great!! I used 4 slices of this bread to make turkey stuffing and everybody preferred it to the wheat stuffing (the wheat bread was store bought). This bread also freezes really well! Hi, I have a couple of allergies which makes baking bread so so hard. I have had troubles with a couple of recipes I have found online and tried doing and haven’t had a proper slice of an airy and fluffy kind of bread for a while. I am allergic to wheat, barley, oats, rice, millet, nuts (almonds), coconut, potatoes and tapioca. I was wondering if I am able to substitute such items in your bread recipe as it looks very very close to a multigrain-whole wheat kind of bread which I have been used to having since childhood. I would really really use your help in recommendation or if you suggest a different recipe that also produces a more sourdough or fluffy, airy kind of bread/loaf. Much appreciate your time and creative recipes. Thank you so much for creating and publishing this recipe. It’s a wonderful bread. I made a mistake on my second try and put in 1 cup Teff thinking it was Millet. Therefore, put in 1/2 cup Millet. It turned out amazing. Wow… yeast free? That’s great! thank you so much for sharing your substitutions, as that helps others who also might need to make those same adjustments. 😉 I’m so happy it worked for you and that you enjoyed it! Hi Lindsey, I’m not sure, I don’t have a bread maker. Auto-immune friends – millet is not good for it’s a thyroid attacker. Any substitutions for it that may work for millet?? I would love to know! You can try sorghum or brown rice flour. 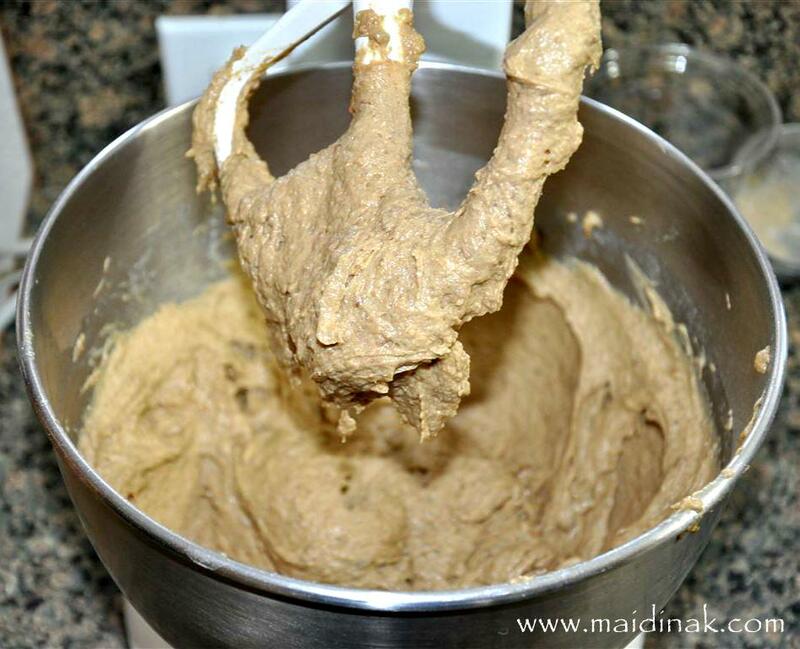 Megan, just want to say “a big thank you” for sharing this wonderful bread recipe. For a gluten-free bread, this is the closest to a wheat-based bread I have found since going gluten-free about one year back. As I do not have xanthan gum at hand, I substituted the xanthan gum with a 1/4 cup of psyllium husks and the bread came out beautifully. It cuts well and tastes delicious! Thank you again. By the way, I am from Malaysia. Just found out I am allergic to rice. I couldn’t find any GF bread without rice so I figured I’ll try my own. I was told by a friend to just get used to NOT having bread anymore, but my eggs need something to be dipped with. So I found this recipe, and read all the comments. Tried it and it turned out AWESOMELY! So I would like to answer one of the questions I read on some of the other replies. YES you can use a hand mixer. I used a cheap black and decker one from Wallmart. ONE LAST THING. I baked it in a Cusinart convection toaster oven! 30 min at 350. 25 degrees less because of the convection conversion. FIRST LOAF of bread… cooked like a champ! THANKS MEGAN! Wow Chris! Thank you so much for all of the notes and substitutions! Awesome to hear a hand held mixer worked A-ok! So happy it worked well for you and that you enjoyed it. 🙂 Thank you for coming back and leaving me a comment, too! I always appreciate when readers do that! Can I use my breadmaker and follow its directions? I wouldn’t try it unless your bread maker has a gluten-free setting and you know it won’t “punch the dough down” for a second rise. A few of my readers said they make this in their bread maker and it turns out, but I think it just depends on the bread maker. You might just have to try it! Would you happen to have the weights of the ingredients? I’m trying to get a sense of the water to flour ratio. Thank you! I don’t, sorry Ron. I don’t measure by weight. I don’t have a good track record with bread, but usually bake egg free too so I can eat it. Read every comment and then tried it out! Used 2ish xl eggs, less oil which I am very glad I did, used half molasses and a bit less honey to cut sugar, had only a tiny bit of almond so replaced most with brown rice. Used 3tsp guar. It didn’t sink!!! Hallelujah!! I did bake for 50min. Smells wonderful. Cooked through. I’m sure my 6yr old will love it. Thank you so much! Going to attempt one with flax eggs next! My wife are going to try this recipe in the breadmaker (with gluten-free) setting we just picked up from the thrift store. Our son is allergic to wheat and rice. I have read through all the comments. I understand you have not make the recipe with a breadmaker but that other readers have….with good results. Our question is what loaf size setting would you use? The breadmaker requires we pick between a lb, 1.5lb and 2lb loaf. Which size would you use? Hi Anthony, I’m guessing it’s a 1.5 lbs loaf?? But I’ve never weighed it, so it’s just a guess! What can I substitute for the xanthan gum? I ‘m sensitive to corn and xanthan gum is derived from corn. Maybe guar gum? Or is there something else? Yes, I would try guar gum instead. I’ve been looking for recipes like this all over the internet. I’m definitely going to try this one on the weekend. Thank you for sharing this! Great- thank you, Heather! Hope you enjoy it! Beautiful! What a tasty GF bread! Although I am not intolerant to gluten I decided to give it a try. My mom has been gluten intolerant for over 30 years so I am very familiar with ingredients and recipes. But this bread is THE best! Thanks for a great recipe and keep them coming! I am anew fan!!! Juts made this bread today and it is delicious!!!!!! I omitted the xanathan gum I can not have gums and used Yerba Prima Psyllium Husks Powder. I had to cut it while it was still hot and it is wonderful. I am not supposed to have nuts so I am going to sub with something else. Can I use more millet? I used teff this time I am going to experiment and use Amaranth next time. I did notice the outside of the bread got quite dark any suggestions? Your recipe is the best yet not using all rice flours like so many other recipes a totally healthy bread. Thank you for sharing this recipe!!!! I life in south Florida but it was cool today not humid. Megan, you are brilliant! I so appreciate all the time you took to take it step by step, provide such clear explanations, great tips and photos for each critical juncture in making this fantastic GF bread. I printed it all out, gathered up the ingredients & equipment including my instant read thermometer and timer. I FOLLOWED THE INSTRUCTIONS EXACTLY AS YOU WROTE THEM. I read them through more than once and printed them out with all of the photos. That way, I was able to quickly see if my batch matched the pictures 😉 The first loaf was perfect and everyone was amazed at how good homemade GF bread can be. I am a cookie baker/decorator (no, not gluten free!) and am used to weighing out dry ingredients. The large metal loaf pan I bought to make the bread is a little larger than yours. Today I made it again and just “upsized” your recipe by 25% (converting most of the dry ingredients to grams) but didn’t change anything else. Got a great rise and all it needed was a little more time in the oven to reach 200 degrees. What a big beautiful loaf it made – it weighed 2.5 pounds! I still can’t believe I made REAL BREAD that’s GF and great for sandwiches & toast! Until now, I could only buy GF Bread canyonglutenfree.com/ at one nearby grocery store. It was expensive and the slices were about 2/3 the size of regular bread. Worst of all, they ran out of it a lot so I had to keep making multiple trips back each week just for bread. Now that I can make my own fresh, delicious & full size slices, we won’t be running out of bread and spending so much time and money chasing it. You can be sure I’ll be making up bags of the measured dry ingredients mix to speed up the process. You have no idea what a relief this is to me and I cannot thank you enough!